E-cigarettes have taken the smoking world by storm. These tobacco cigarette alternatives come with a host of benefits that have already attracted many smokers. E-cigarettes do not rely on combustion to produce nicotine. They rely on the vaporization of e-juice. The inhaled vapor delivers the nicotine that the user craves. Since there is no burning of tobacco, there is no smoke, the user inhales a tasteless vapor. However, the best thing about its tasteless nature is that the e-juice can be flavored using the Capella Cool Mint Flavor Concentrate or any other option as per your preferences. E-cigarette enthusiasts get the opportunity to taste their favorite flavors whenever they vape. This is definitely an improvement on the not-so-pleasing smoke taste characterizing traditional tobacco cigarettes. To have the best smoking experience by having the e-juice flavored to your preference you can opt to get a prepared mixture or, alternatively make your own mixture using the Capella Cool Mint Flavor Concentrate. By opting to make your own mixture, you get to have the freedom to mix it to your preference. This means that you can make the flavor as diluted or concentrated as you wish. To make your own flavor mix, you will need to have a do it yourself kit. With the Capella cool mint flavor concentrate, you have the best flavor for a fresh e-cigarette smoking experience. 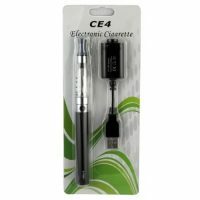 An e-cigarette concentrate is designed for use by e-cig connoisseurs who like making their own DIY mix for the best enjoyment. The concentrate should be mixed in with a flavorless e-liquid per your preferences. 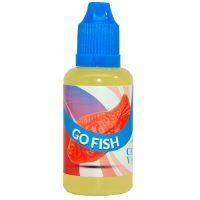 This flavor concentrate promises the best effect as it is specifically designed for e-cigarette use as opposed to some other concentrates in the market primarily designed for food but marketed as e-cig concentrates. Make sure that you distinguish this important fact next time you are looking for a suitable flavor concentrate. It is, however, important to note that mixing the Capella coconut flavor concentrate or any other option from our wide variety, allow some time for the mixture to brew. The concentrate is usually overwhelming when first mixed in with the e-liquid. Of course, you can start vaping immediately but the flavor might be somewhat overwhelming due to the concentration. However, allowing the mixture to brew for a while will help the concentrate and the e-liquid to mix in for a smoother vaping experience. The process of allowing the mixture to settle in and the brew is referred to as steeping in e-cigarette circles. If you are feeling more adventurous, you can use the opportunity to mix the Capella coconut flavor concentrate with another concentrate to create a preferred mixture.